Lack of estrogen causes a decrease in osteoprotegerin. Osteoprotegerin (OPG), also known as osteoclastogenesis inhibitory factor (OCIF), is a cytokine and a member of the tumor necrosis factor (TNF) receptor superfamily. Osteoprotegerin inhibits the differentiation of macrophages into osteoclasts and also regulates the resorption of osteoclasts. Osteoprotegerin, a RANK homolog, works by binding to the RANK-ligand on Osteoblast/Stromal cells, thus blocking the RANK-RANK lingand interaction between Osteoblast/Stromal cells and Osteoclast precursors. This has the effect of inhibiting the differentiation of the Osteoclast Precursor into a mature Osteoclast. 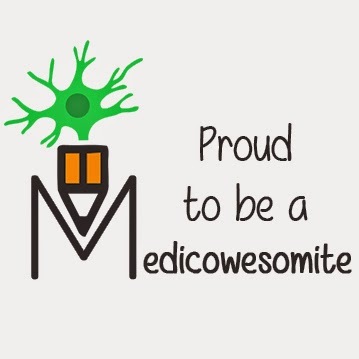 Mnemonic: Osteoprotegerin ranks high in protecting bones. 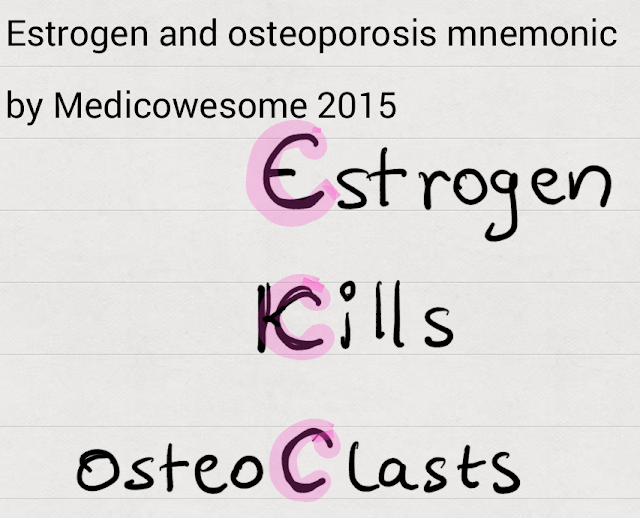 So, estrogen kinda inhibits the osteoclasts which causes osteoporosis is the moral of the story? Extra: Recombinant human osteoprotegerin specifically acts on bone, increasing bone mineral density and bone volume. Osteoprotegerin has been used experimentally to decrease bone resorption in women with postmenopausal osteoporosis and in patients with lytic bone metastases.